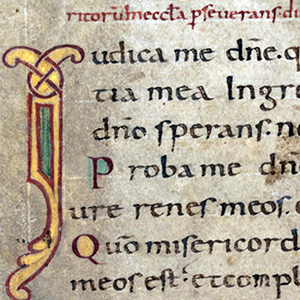 In this part of the text, the instruction intends to make it clear that just as there are two forms of celebration, one in Latin, the other in the vernacular, in accordance with the norms established by competent authority, so the use of the musical repertory that is connected with the Latin text is for celebrations in Latin, although it is possible to use some parts of it even in celebrations in the vernacular. FOR THE SAKE OF ARGUMENT, let’s pretend that Bugnini’s argument was correct, and Gregorian chant only has pride of place for Mass celebrated in Latin. What exactly does that mean? How does one define a “Mass in Latin”? When the Eucharistic Prayer is said in Latin? Or perhaps just the Mass parts? What about the General Intercessions? Do those have to be in Latin, too? How about the Kyrie Eleison? If the Kyrie is said in Greek, is it still a Latin Mass? What about the homily? What about the readings? Obviously, his argument is untenable. More importantly, however, the Council ordered Latin to be retained in the liturgy and “did not envision an entirely vernacular liturgy” (c.f. quote by Benofy above). Sadly, like so many of the Council’s wishes, this order was ignored.